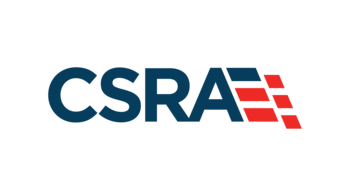 Reviewed by Diana L. Ahmad, Ph.D.
A graduate of the Naval Academy in 1967, Dwight Hughes provides an excellent account of CSS Shenandoah that is easily understood by historians and lay audiences alike. Readers quickly come to feel the movement of the ship as she sailed through tropical storms, fog, and near the icebergs of the Arctic Circle. Focusing on the experiences of several of the vessel’s officers, including James Waddell, William Whittle, Charles Lining, and John Mason, the author analyses the reasons why the men undertook the mission of raiding United States merchant vessels and whalers. By the end of their mission, Shenandoah had captured and destroyed over thirty ships after taking all the supplies, food, and whatever else the Shenandoah’s crew deemed necessary. They tried to recruit the sailors of the captured ships into their ranks as members of the Confederate Navy. 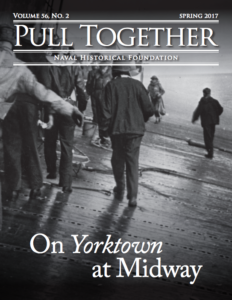 Other passengers, civilian and sailor alike, were taken to safe harbors or put on ships that were spared being destroyed. 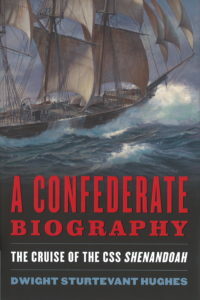 Relying on primary sources, especially personal journals of the officers and the annotated log of the captain, the book provides a great insight into the men who commanded the vessel showing their various moods that ranged from delighted at hearing about the Confederate battle victories to sadness at missing their loved ones at home. Hughes easily blended explanations of the various ships’ designs and nautical terms into his story with no difficulty making the book available to readers of all backgrounds. Between October 1864 and November 1865, the Confederate raider circumnavigated the globe in thirteen months and covered 58,000 miles. Captain Waddell’s crew was a polyglot of CSA officers and men from the ships they raided and who volunteered to join the Confederates in their mission to destroy as much Yankee shipping as they could. Waddell had the most experience of the officers having served over twenty years in the U.S. Navy, but seemed reluctant to take bold action against either potential victims or running the vessel as much as she might have been. Many thought of Shenandoah as a second Alabama and feared the raids by the new vessel. The mission of Shenandoah also included diplomacy. During their first months, they needed to go to Melbourne, Australia, for repairs to the ship and while there caused diplomatic difficulties for the American consul in the city. Some of the Australians sided with the Confederates, while others took the Yankees’ side. Diplomatically, Great Britain needed to make it appear that they remained within international law, despite the fact that they provided Shenandoah (formerly called Sea King) to the South. The ship even visited Pohnpei in Micronesia where they encountered Western beachcombers and the islanders who Captain Waddell managed to have pleasant experiences with during their few days there. In addition to providing excellent descriptions of the interactions between the ship’s men, the solitary lifestyle of the ship was obvious. They received little or no communication with others as sometimes weeks went by without even sighting another vessel, let alone the possibility of speaking to other people beyond their shipmates. Many of the men developed hobbies, including learning French or navigation skills and reading dozens of books taken from ships they had raided. One of the most difficult decisions made by Captain Waddell was where to turn in the ship once he was convinced the South had lost the war. He had to decide whether to sail to an American, African, or European port. Ultimately, despite disagreements among the officers and crew, Waddell chose to surrender the vessel in Liverpool where the ship was built. The crew, officers and sailors alike, scattered once they were permitted to leave the ship. In the Epilogue, Hughes provided a much-welcomed biography of each of the main people in the book permitting readers to find out what happened to those who figured so prominently in Shenandoah’s story. A Confederate Biography is an excellent look at an interesting slice of the Civil War. Dr. Ahmad teaches at the Missouri University of Science and Technology in Rolla, Missouri. My thanks to the men of the South who served. Long live Dixieland.